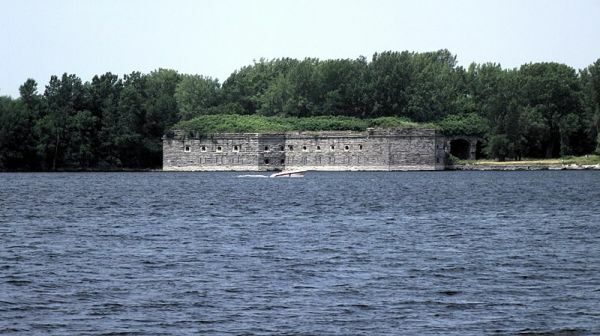 Fort Montgomery sits on an island in New York, a the conjunction of Lake Champlain and the Richlieu River, withion spittin’ distance of Canada. The three-story stone building, built over several decades including the Civil War era. It was decommissioned gradually around the turn of the 20th century, and was sold to a private owner in 1926. What was the purpose of Fort Momntgomery? To defend the US from Canada, of course.